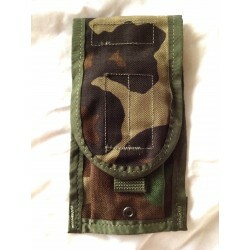 Military Molle II M4 Double Ammo Mag Pouch. Condition is New. Official US Military Molle II M4 Double Mag Ammo Pouch. Heavy duty nylon material with velcro closure. Pouch is designed to hold two 30 Round Mags. Can be attached to a Molle compatible vest and backpack.